The township lies on the edge of the open country, where the smoke-laden air of the city is exchanged for the fresher breezes which blow over open fields and through masses of foliage. True, there is hardly a break in the long line of houses from the city to the village of West Derby, but the larger houses set amidst gardens and paddocks are separated by airy spaces and are overshadowed by trees. The country is very flat, and has, except in the far east, the unmistakable stamp of sub urbanism. In the easterly direction are the plantations and grounds of Croxteth Hall; in the north is open land which was once moss land, a large cemetery being a conspicuous object in the level country. South and west are more crowded with houses, where such suburban neighbourhoods as Knotty Ash, Broad Green, and Old Swan are situated. The old-fashioned village of West Derby still presents a countrified aspect. The open ground is chiefly pasture, but crops of corn and potatoes are raised in a loamy soil. Access to the township from Liverpool, was originally from a road that ran eastward called Rake Lane. After passing the Upper Breck, the road, became Rocky Lane, which descended the hill, and then crossed Tue Brook, which gives its name to the current neighbourhood. It crossed Green Lane which led to the 'Old Swan.' The main road, and continued upward to the Mill-house, near which had stood the ancient Derby windmill, Lark Hill. Mill Lane then descended to the village with its ancient chapel, continuing, as Castle Lane, in the direction of Croxteth Hall. The village cross-roads led south-east to Town Row, from which Deys Lane branched off; and north-west past New Hall in Carr Lane to Walton village. Carr Lane was a continuation of a road from Liverpool which crossed the Tue Brook at Club Moor, and went deviously onward to Kirkby. 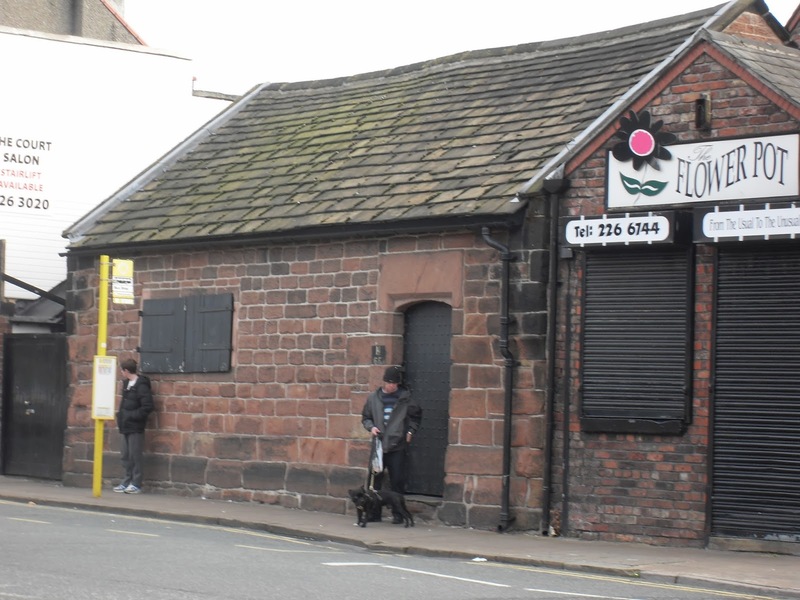 In this part of the township was the hamlet of Dog and Gun, and West Derby Cemetery, opened 1884, to the west, and the district called Gill Moss. From Derby mill mentioned above a lane led south past Blackmoor Moss. A little to the east stood the Round House, otherwise known as Sandfield. The roads described above continue to be the main thoroughfares. Many of them were used by the Liverpool tramway system, which facilitated access to the village, and also to Old Swan and Knotty Ash, where there is a junction with the South-west Lancashire tramway system. 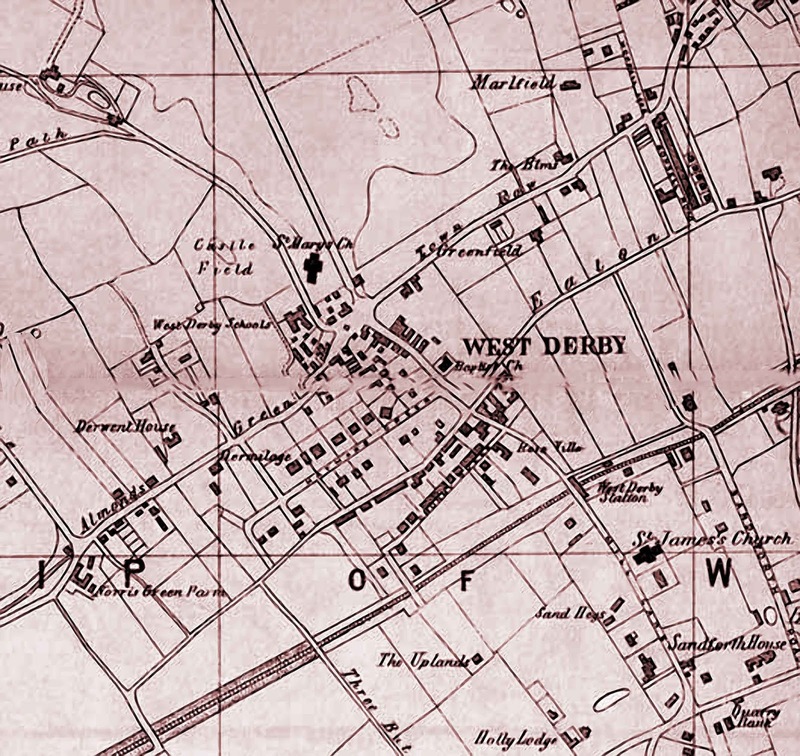 The London and North-Western Company's railway line from Liverpool also passed through West Derby. The Cheshire Lines Committee's Southport Railway also passed through, more to the east, with stations at Knotty Ash and West Derby, opened in 1884. 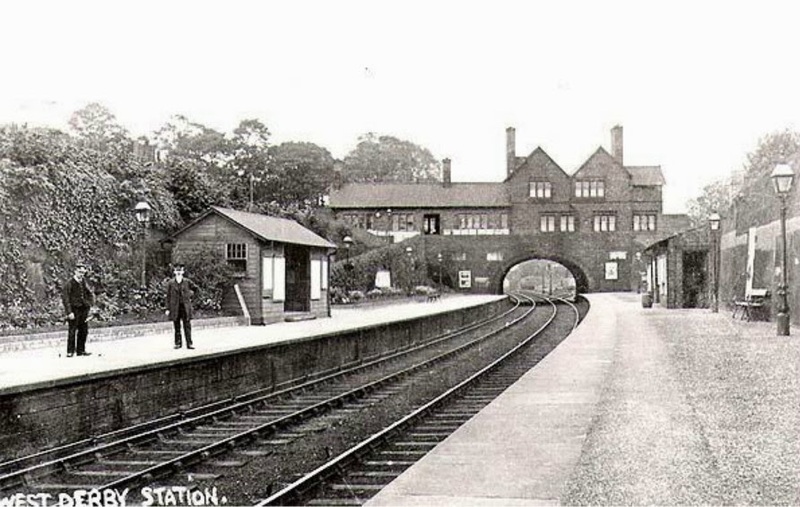 West Derby Station - Early 20th Century. 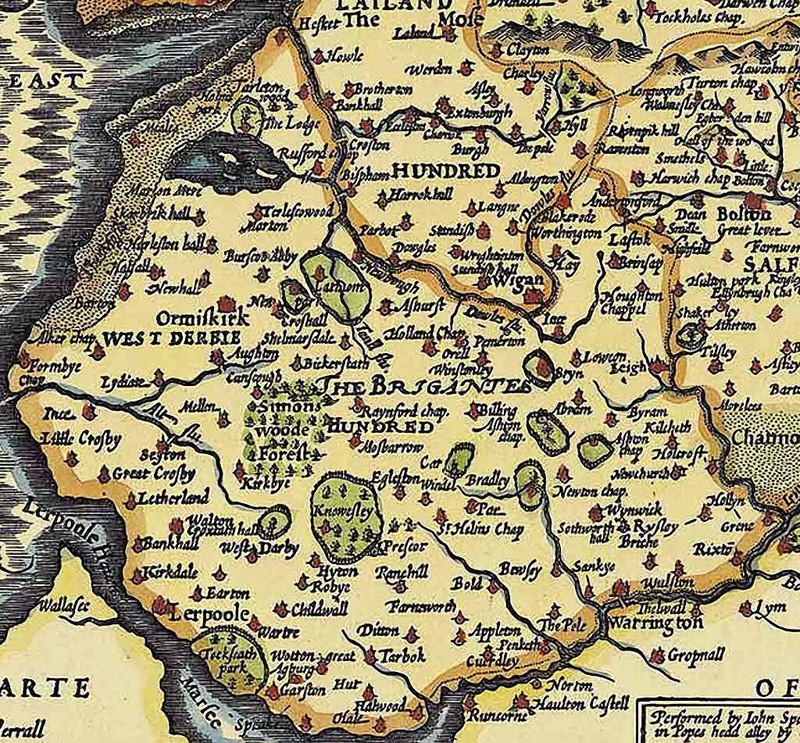 'Between Ribble and Mersey,' and with its six berewicks was assessed at four hides; there was land for fifteen ploughs; and a forest two leagues long and one broad, with an aery of hawks. King Edward held it in 1066, and by the Conqueror it was given to Roger of Poitou who had temporarily lost his fief (sic) before 1086; but in 1094 Count Roger gave the tithe of his demesne in this vill (sic) to the abbey of St. Martin of Séez.It is possible that he built the castle here. After his banishment in 1102 West Derby with his other manors escheated to the crown, and was about 1115 granted to Stephen of Blois as part of the honour of Lancaster'. West Derby had a Castle which was mentioned again in the Domesday book in 1197 when the castle was repaired at a cost of 100 shillings. After the death of King Richard a garrison was stationed in it to preserve the peace of the county; three years later considerable additions and repairs were carried out. During his struggle with the barons King John kept a sufficient garrison there. By 1297, however, it had ceased to exist, for it was returned that 'in the town fields of Derby there was a certain site of an old castle, where the capital messuage used to be, with the circuit of the ditches'. 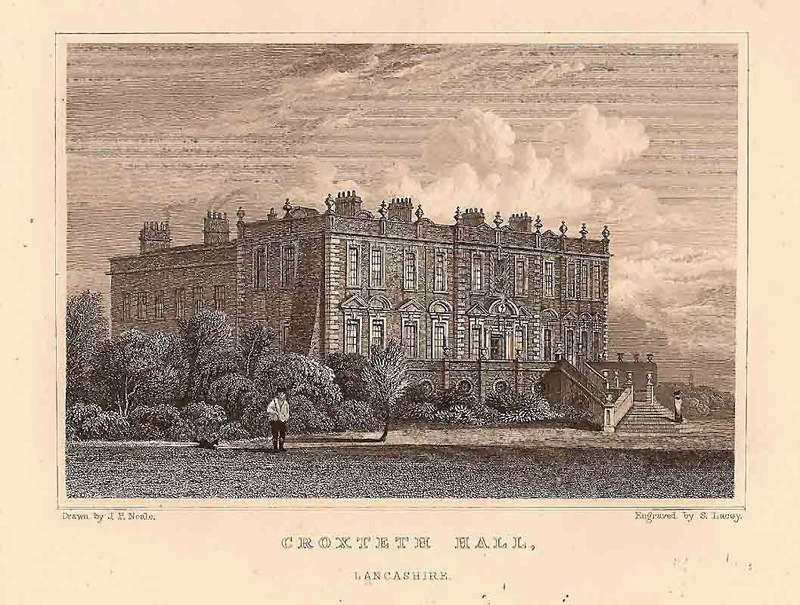 Croxteth Hall, formerly called Barret's Hall, the chief seat of the earl of Sefton, is situated in this township on the borders of Croxteth Park, from which it takes its name. The Molyneux family acquired it in Henry VI's reign, when Sir Richard Molyneux was steward of the manor, and about 1540 was one of the chief residences of the Molyneux family. The deeds at Croxteth show various acquisitions of land in West Derby, beginning in 1545. A north wing was added about 1790, and in 1902–4 was rebuilt to harmonize with the west front, the old brewhouse and bakehouse, which had been incorporated with the work of 1790, being destroyed in the process. In 1874–7 an east front was built and the south front lengthened to join it, while the dining-room at the south end of the west wing was lengthened southwards and the grand staircase renewed. The present house is built round a quadrangle, and its greatest dimensions are 205 ft. by 135. Its chief merit lies in the early eighteenth-century work, with its detailed panelling being of an excellent standard. The first distinct allusion to the chapel in West Derby occurs in the middle of the fourteenth century. In 1494 Henry VII allowed five marks out of the issues of the manor towards the maintenance of a chapel for the celebration of divine service within the lordship. The next time it is mentioned, is in connection with the Reformation period. During the succeeding century its history is obscure; probably the new services were maintained more or less regularly, a 'reading minister' being supplied, as was the case about 1612. In 1650 the surveyors found 'a godly minister,' Mr. Norcott, and after the Restoration the older order probably returned. Bishop Gastrell, in about 1720, In 1719 leave had been given to build an aisle on each side of the chapel. There was a resident curate, for the 'house and ground' is mentioned, and about this time the township built a house called the 'Parsonage' for the curate. A new service of communion plate was provided in 1760. 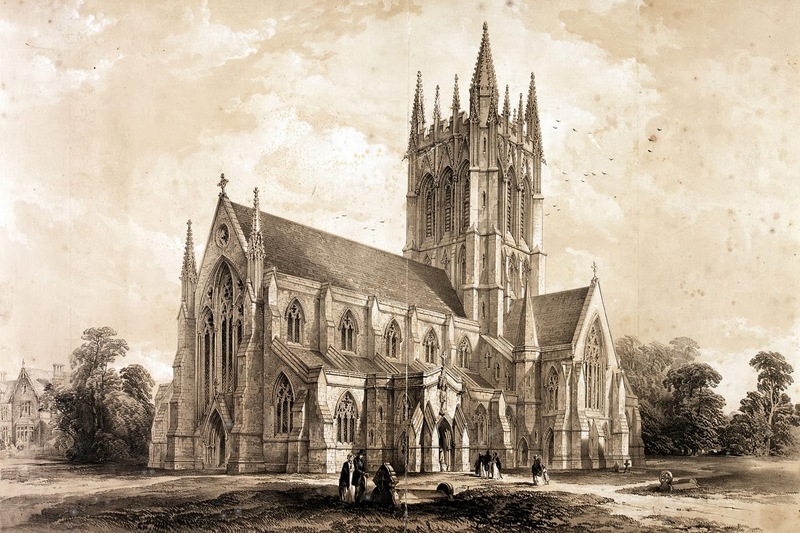 The ancient structure was pulled down after the building of the new church, 1853–6. It seems to have undergone much rebuilding in the eighteenth century, but at its destruction part of an ancient gable was discovered in the west wall, so that something at least of the old work remained. The chief records of its later history are to be found in the earliest West Derby Vestry Book, begun in 1744. In 1745 the stone pillars under the steeple and the steeple itself were taken down and rebuilt, and in 1747 the chapel was 'uniformed down on both sides to the west end of the steeple.' In 1786 the chancel and other ruinous parts were taken down and rebuilt and the chapel enlarged. West Derby retains a courthouse built in the reign of Queen Elizabeth I: the first (Wapentake) court in West Derby was established around 1,000 years ago. The West Derby Courthouse, built in 1586, was restored and conserved in 2005 and is the only freestanding post-medieval courthouse in Britain. 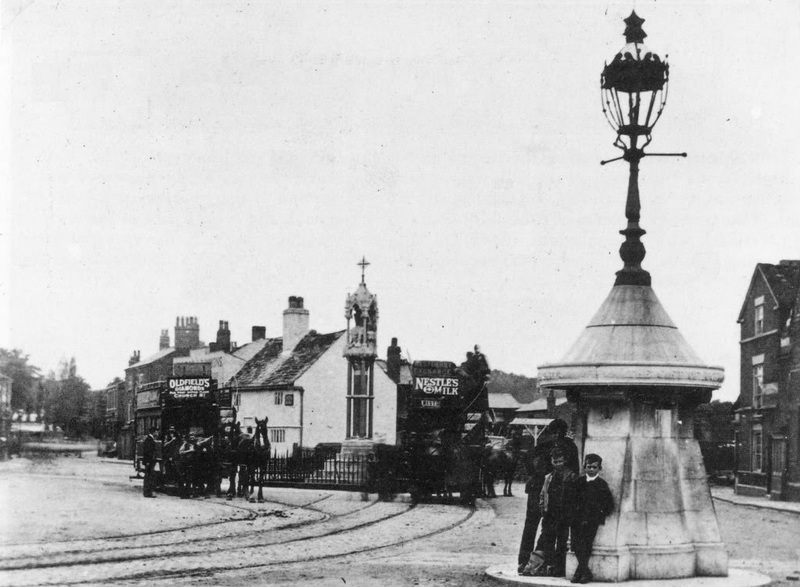 Opposite the courthouse is a set of Victorian cast iron stocks once used as a public restraint punishment for offenders the villages used fruit and rotten vegetables to throw at the offenders. The stocks were placed in their current position to commemorate the coronation of Edward VII in 1902. Temporarily removed in 2008 whilst the site was renovated, the stocks have since been put back in place. West Derby is also home to a number of schools that have produced famous pupils: West Derby School, one of whose alumni is actor Craig Charles. St. Edward's College produced Sir Terry Leahy, former England rugby union player Mike Slemen and actor Michael Williams. 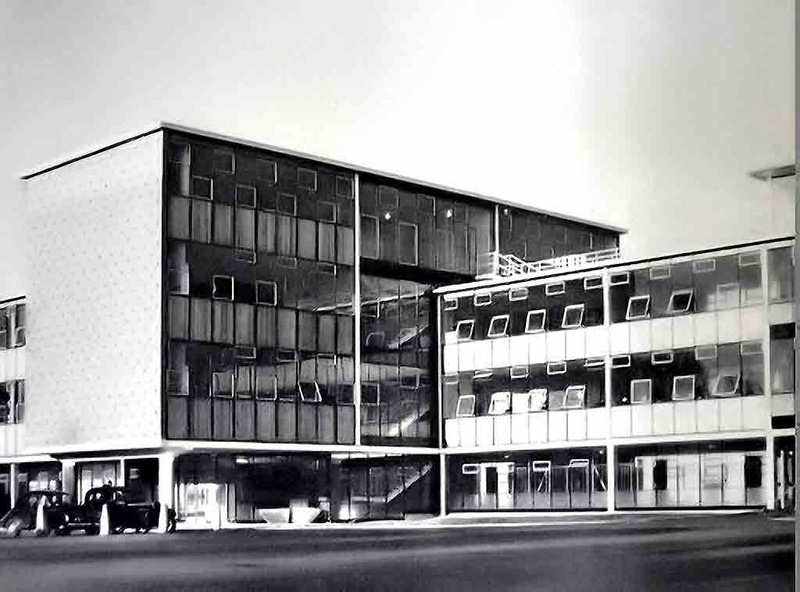 Cardinal Heenan Catholic High School includes Liverpool footballer Steven Gerrard, professional boxer David Price and musicians Mike di Scala, Terry Marr, David Kent and Neo-Psychedelia 3 piece outfit Idle Jack as former pupils. Previously called Cardinal Allen Grammar School, it was attended by Everton footballer Colin Harvey and actor Paul McGann. Broughton Hall High School former pupils include singer Natasha Hamilton of Atomic Kitten, and actress Jennifer Ellison. Ellison later moved to St. Edward's College for sixth form. Other schools in the area include Holly Lodge Girls' College, St. Paul's Junior School and Blackmoor Park Junior School. And finally, the former Channel 4 soap opera Brookside was filmed on a housing development built on part of Lord Sefton's estate.